Create fresh pressed ravioli, filled with your favorite meat, vegetable, or cheese using this heart-shaped ravioli stampt. The stamp is constructed from aluminum alloy, and features a sturdy wooden handle. Designed to help keep ravioli from sticking to the inside of the cutter, it also helps to lend its fun shape to the pasta. Also great for use with stuffed pastries, this stamp cuts and seals all in one step. 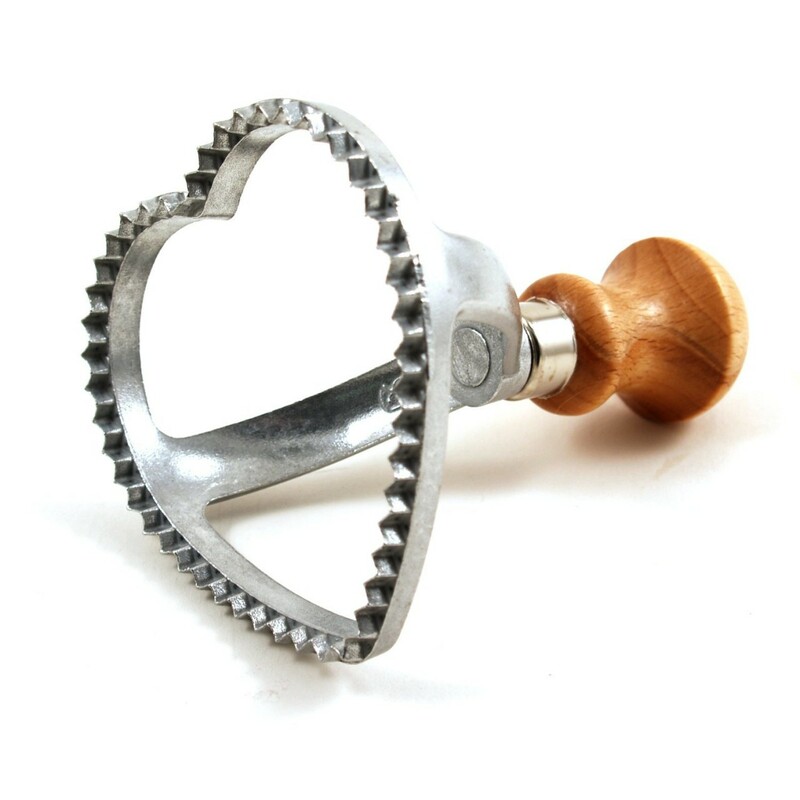 Click the button below to add the Aluminum Heart Ravioli Cutter 3.5 Inches made in Italy to your wish list.